Fernando Valenzuela worked his way back to the majors in 1991 and he also worked his way through the Arkansas Traveler lineup, including shortstop Frankie Abreu, according to The Associated Press. Abreu could only marvel at Valenzuela's performance, The AP wrote. "He threw his fastball in and out and then came with his screwball or curve, and those were some nasty pitches," Abreu told The AP. Abreu faced the major league pitcher Valenzuela in his sixth professional season. He played one more and saw AAA, but he never got to face a major league pitcher in the bigs. Abreu's career began in 1986, signed by the Cardinals as a free agent out of his native Dominican Republic. Abreu was also credited as Frank Abreu and Franklin Abreu. Abreu started with the Cardinals at rookie Johnson City. He hit .226 in 48 games. 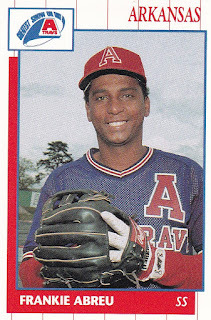 He moved to single-A Savannah for 1987, then single-A Springfield for 1988. He hit .263 at Savannah, then .206 at Springfield. He singled and scored in an April 1988 game for Springfield. 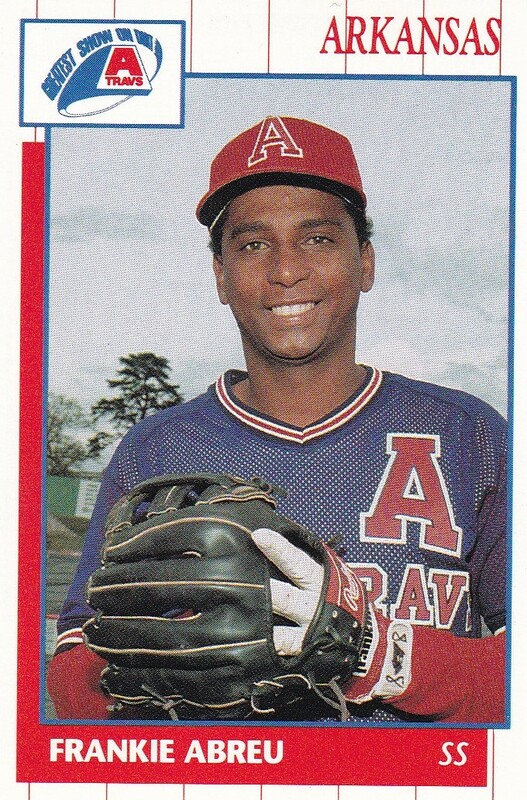 Abreu played 1989 at single-A St. Petersburg. He hit .276 over 86 games. He returned to St. Petersburg for 1990 and got an 11-game look at AA Arkansas. He returned to Arkansas full time for 1991. He hit .238 over 89 games. He doubled in an August game, driving in two. Abreu played his final year in 1992 largely at St. Petersburg. He also got a seven-game look at AAA Louisville. He went 2 for 15 at Louisville. land hit .260 overall that year to end his career.